Healthy, supported families that feel confident in their parenting skills and their ability to access needed resources are crucial to children’s success and readiness for school.  Through collaborative relationships with a variety of organizations and agencies the Partnership strives to meet the needs of families with young children. A Resource Lending Library for parents and caregivers. Our CCR&R houses a resource lending library for early for childhood educators, parents and caregivers. The library contains materials, books and DVDs on various topics related to early childhood education as well as a collection of children’s books. Additionally, the library offers a laminator and color copy machine. Parent Trainings – throughout the year the Partnership offers opportunities for parents to strengthen their own skills through workshop and networking opportunities. Please contact the Partnership at (336) 372-2846 for training and workshop schedules. Collaborative partners in the county also offer services to families with young children. The Children’s Developmental Services Agency (CDSA) is a regional early intervention center for infants and toddlers with developmental disabilities or delays. It offers evaluation, treatment, service coordination, and consultation services to families of children birth to 36 months of age. The CDSA can be reached at (336) 372-2905. Newborn Home Visits by the App Health Care Department of Public Health. For more information contact the Alleghany Health Department at (336) 372-5641. Counseling services for women and children who have witnessed or experienced violence or trauma are available at D.A.N.A. Services, they offer an array of services related to domestic violence, sexual assault and the prevention of both including support services to parents and children. D.A.N.A Services can be reached at (336) 372-3262 or in Spanish at 336-657-0466. Parenting and pregnancy support for families is available at the Alleghany Pregnancy Care Center. The APCC offers pregnancy testing, prenatal and beyond classes, childbirth classes, education to adoption, education to abortion alternatives, spiritual counseling (which is integrated into all programs), referrals for medical care, community services. APCC can be reached at (336) 372-7844.